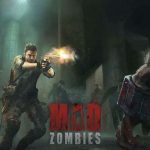 SAS Zombie Assault 4 MOD APK is an action shooter from NINJA KIWI.This developer has developed some of the famous Android games like Bloons TD and Bloons TD Battles.Their games are high in flexibility and in a colorful way approach to the gamers.New update 1.9.0 arrived with virus boxes and new prizes. 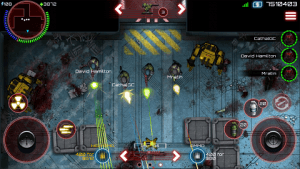 Have you tried the Alien shooter game yet? 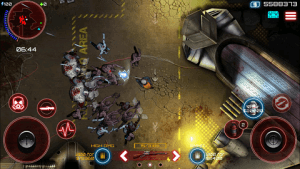 even on PC or Android it tasted the same.well that was a shooter Android game with so many aliens to kill in a simulacra way.well what if you get that game again in another way? 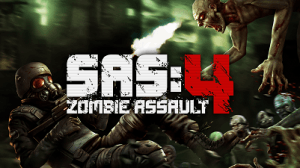 well SAS Zombie Assault 4 MOD APK will get you there in a zombies way. 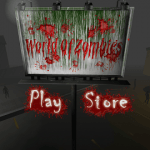 In this 2D game you have to kill zombies and stop them from coming in your room or home whatever they call it.you have weapons to hold and kill them off from your lane and secure the area.zombies come from everywhere you can also use barns to stop them from coming.you have to recharge it as well. 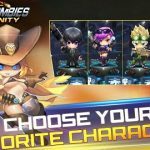 There are events to complete and get bigger prizes but you already have unlimited money so chill.developers has promised that there are 17 types of zombies in the game with their special ability and skills.and you have so many weapons to unlock and use against zombies. 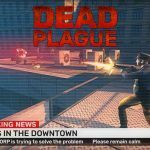 There is a CO-OP MODE as well you can bring 3 other players to join you.in total 4 CO-OP player supported.each player has to follow their own rules to survive and kill hordes and hordes of zombies. Graphics are simple and dark enough to feel the zombies infections.of course game will run smoothly because its a 2D game and does not requires HIGH END devices. 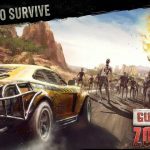 160 Guns to unlock well its kind of hard but with MOD APK you can unlock all the guns easily.there are other weapons as well like turrets,machine guns,flame thrower(my personal favorite from Far Cry Series oh yeah)and so many gadgets to use against zombie heads. 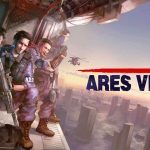 Well in this SAS Zombie Assault 4 MOD APK you can also upgrade your character skills and upgrade them same like RPG games.isn’t its something different? well i think that’s why this game has been downloaded so many times from the play store. It’s every man for himself in an all new special event, Virus Samples. The research corporations want virus samples from the undead and they’re prepared to majorly reward whoever can bring in the most. Compete against your teammates to collect the most virus samples from defeated zombies and secure your place on the leaderboard for some big strongbox prizes! Check the News section to find out when this exciting event is running so you can join in and get yourself some awesome gear. Hey RG, please mod again this game. It’s awesome. Tks. The download links are gone, can you upload the game again or it doesn’t work anymore?